Our Family has a wonderful Schnauzer named Gus! He is the most special guy in the world, full of fun and loves playing with his toys or your toys, towels and singing along with you to songs played on the piano. Gus is very musical and loves listening to all kinds of music. Being in an all adult family he gets a lot of attention and fun. When he plays the piano and sings it looks so funny. The guy is really funny and attracts lots of attention. My brother is a great piano player and I sing, then Gus joins in. Gus is cute, funny and fun. We all love him. Our all black friend. He lives a few blocks from his sister too. He will always be a member of the family! 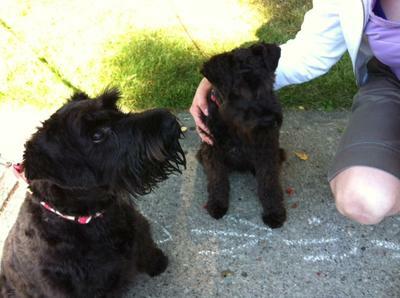 We have lots of Schnauzer friends now and more friends then ever before thanks to him! The most fun loving dog and best friend to all. A very smart guy, but he is the most hungry dog I have ever known. From someone who was so afraid of dogs that they would walk on the other side of the road when there was a dog near. Never again! 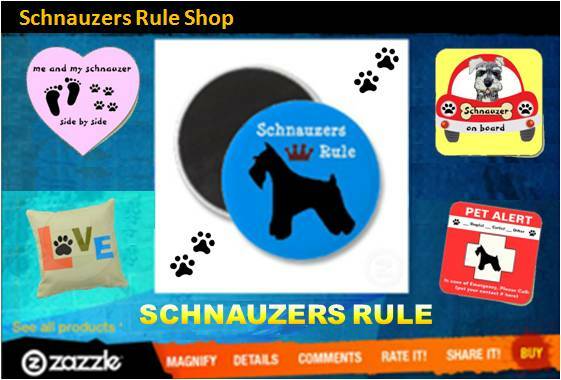 I love dogs especially Schnauzers! Thanks Gus. The best friend ever and the worlds best dog. You have helped me in so many ways, We love you and hope the best for you now and always. Love, Hope, Joy, Peace forever. The world is a great place because of you. The times now and the future. Comments for The Best Friend Ever! Our Gus is eleven years old now but still has the spirit of a puppy! He is ornery, bull headed and barks like a maniac whenever someone walks by his house but he is so loyal and loving and is truly part of the family! I had a Gus too! My Gus was all black too! He was so special and so quick to learn. I lost him in 2010 to lymphoma cancer at age 7--way too young. The memory of him is with us always--he was so special. I still have Max and black and silver and 2 years ago we added Penny to our family--she shared the same birthday that Gus had and yes she is all black too and quite an imp.